Math is such an important skill. For the past several years I have really struggled with teaching math. It's tough because my students need SO much practice with any particular skill. Every curriculum that I have found out there has been great, for about a week, and then it moves on to the next skill whether or not my students have mastered the previous skill. I really struggled finding curriculum that provided daily practice on the same skill so that my students could gain enough practice to master it. 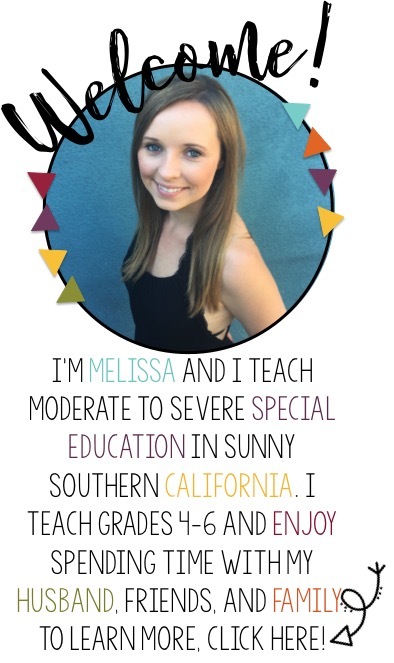 I could not find this ANYWHERE, so I decided to give up my summer and spend my life creating these worksheets! I created a "Daily Math Practice" curriculum that provides daily practice on each skill. 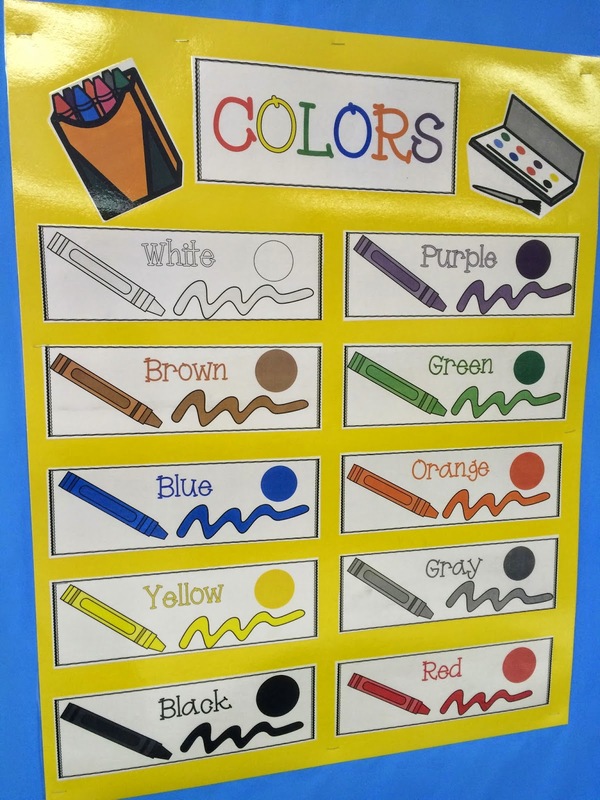 Each skill is sold as a "level" in my teachers pay teacher's store. 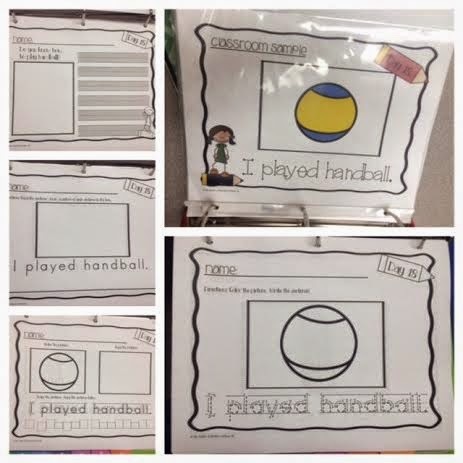 Each level provides 180 worksheets targeting the same skill. Each worksheet is double sided. Each worksheet is presented in a clear format with large font. 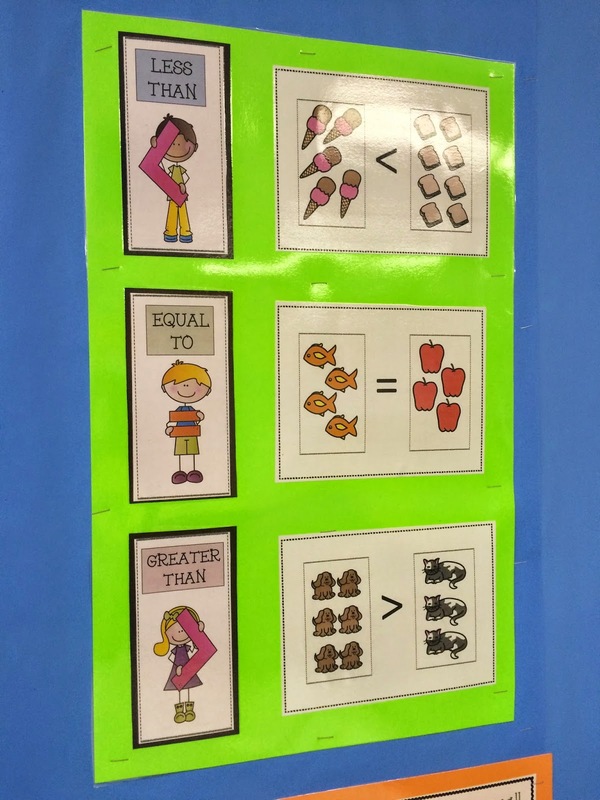 The pages are repetitive to build independence for each child. 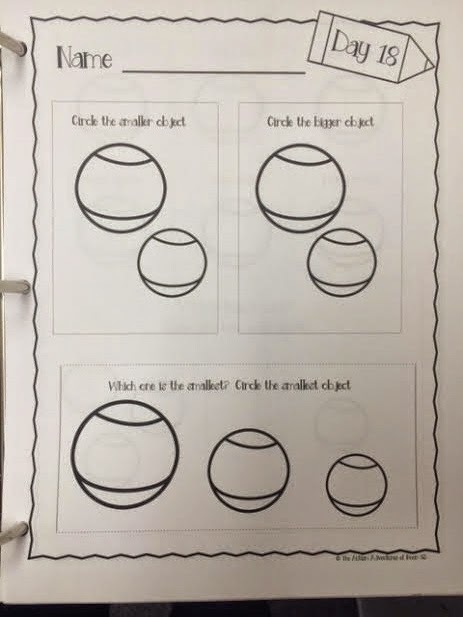 The worksheets are created with large font and enough space to minimize distractions. The curriculum is designed so that there is one worksheet for each day for an entire school year. Here is a preview of Level 1- which targets the skills of identifying big/small, more/less and practicing colors. I teach math in a small group during my morning rotations. 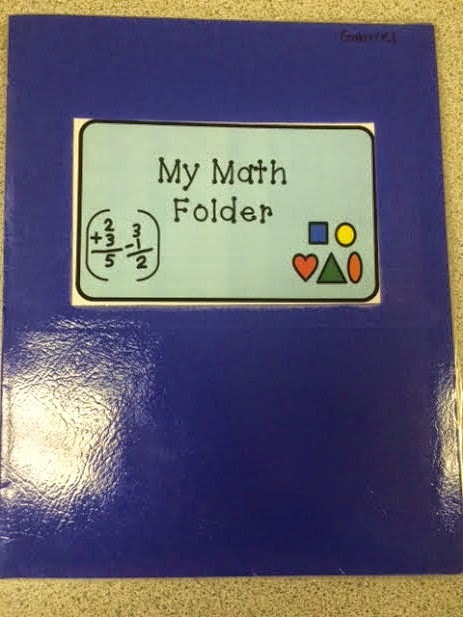 I organize my student's worksheets in individual student math folders. I make copies for one month at a time and store in each folder! It's SO simple, no prep and my students are being challenged more than they ever have been before. On the inside of the folder I have a "to do" and a "finished" side. 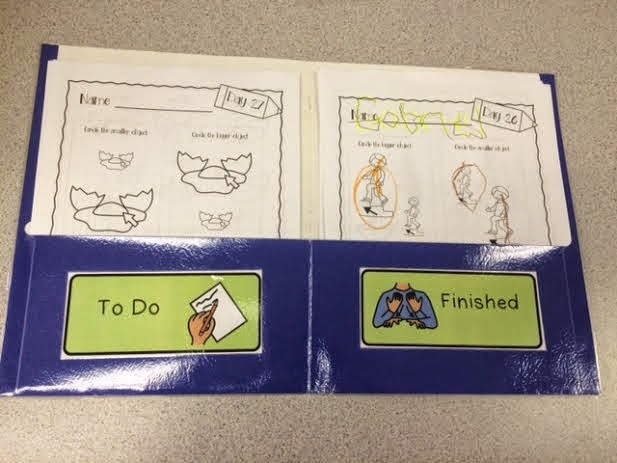 This way we can keep the worksheets organized so that at the end of the month the work can be sent home for parents to review! The absolutely best part of this curriculum is that it is paired with the writing through the year curriculum I also designed. Each day is labeled in the top right corner with a "day 19" label. Every day matches the math and writing curriculum, no matter what level it is. For example, Day 1: students write a sentence, "The apple is red." 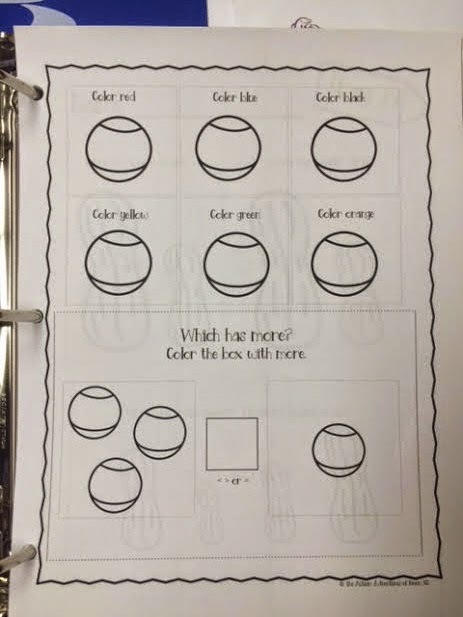 while for math, they color apples, they count apples, they add apples, and they subtract apples. Click here to read more about my writing curriculum. 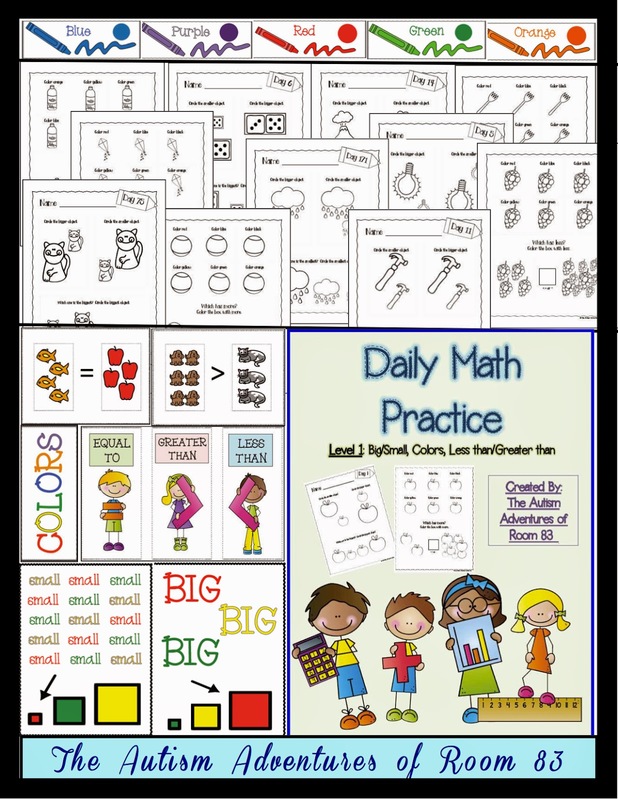 If interested in purchasing Daily Math Practice- Level 1, click HERE!